“Some people are worth melting for.” But that’s not necessary on Castaway Cay! This summer we introduced a new way for you to cool down – with a delicious frozen drink at Summertime Freeze. 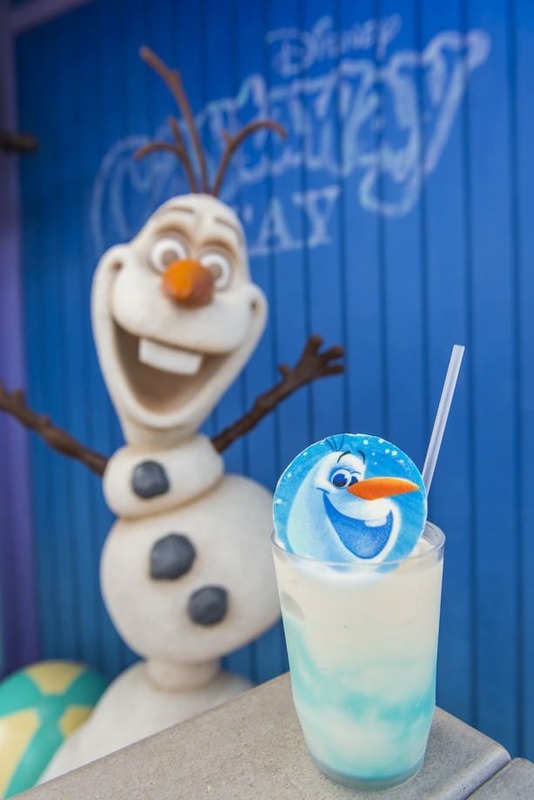 I shared with you last week the recipe for Warm Hugs, and today I have another Olaf-inspired beverage for you to try, Worth Melting For. At Summertime Freeze, we top this drink with an Olaf cookie. When you make it at home, you can substitute with two blueberries, one mini carrot and two mini marshmallows for Olaf’s eyes, nose and teeth! Blend passion fruit with piña colada mix and ice. Layer bottom of glass with a half ounce blue curaçao syrup. Pour drink and drizzle a half ounce blue curaçao syrup.